A Ukrainian public is mostly familiar only with two historical conceptions of Intermarium: the Black Sea doctrine by a Ukrainian geopolitician Yurii Lypa and the doctrine of Intermarium by a Polish marshal and statesman Jozef Pilsudski. Other regional models of Intermarium and practical steps to implement them, above all, Finnish and Latvian, unfairly remain unexplored. Latvian general Peteris Radzins is an especially significant figure in light of building a common regional space. 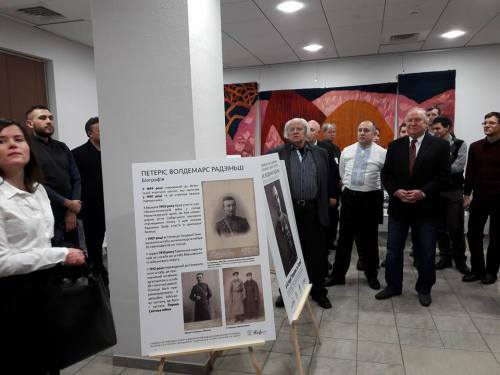 Thus it’s a great luck that an eponymous society from Latvia, accompanied by a number of the “National Alliance ‘All for Latvia!’” party representatives, visited Ukraine with an exhibition on the general’s life and geopolitical views. 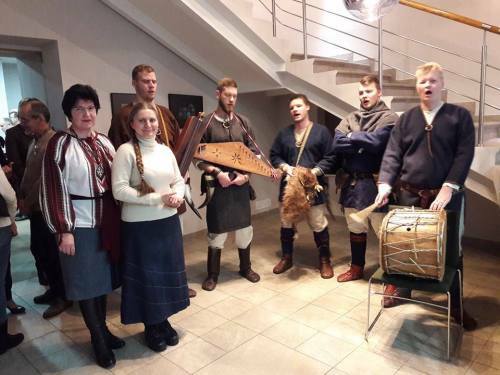 A niece of the renowned general Dzintra also arrived in Kyiv in their ranks. Symbolism of this figure for Ukraine consists in a fact that Radzins not only assigned to Ukraine a key role in building a defense alliance of Intermarium and defining a geopolitical fate of the Baltic States and the region, but also held quite important positions in the headquarters first of Hetman Pavlo Skoropadsky’s army (head of the organization and training department), then, after his fall, military of Ukrainian People’s Republic led by Symon Petliura (assistant chief of Staff). The successes and failures of fighters for the Ukrainian independence and statehood he experienced as his own, keeping in mind that once the future of the Baltic States has been already decided in Ukraine: after the victory of the Russian Empire in the Battle of Poltava of 1709, the Baltic coast, previously a Swedish territory, has become a part of Russia. An exhibition “General of the Latvian Army Peteris Radzins in the History of Latvia and Ukraine,” held December 16, 2016 at the Embassy of Latvia in Kyiv with the support of Congress of Ukrainians in Latvia and Society of General Peteris Radzins, attended a wide range of official (Ambassador of Latvia to Ukraine Juris Poykans) and public diplomats of Ukraine (International Initiative to Support Ukraine, deputy chairman of Officers Union of Ukraine Yevhen Lupakov), representatives of nationalist organizations (National Corps, Svoboda, Congress of Ukrainian Nationalists), cultural activists (Ivan Drach, Alla Kendzera, Lesia Horova, Vladimir Honsky), historians (Andrii Rukkas, Sergii Kovalenko, author of “Black Cossacks: the History of the Regiment” about the Latvian Karlis Brozhe, commander of the 2nd battalion of the regiment). In addition, within the delegation Kyiv also visited a Latvian volunteer of Right Sector’s DUK (Volunteer Ukrainian Corps). 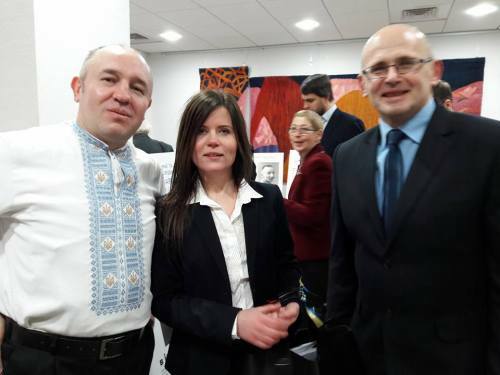 The event opened the Ambassador of Latvia Juris Poykans, and the introductory remarks, translated by deputy chairman of Congress of Ukrainians in Latvia Tatyana Lazda, made Agris Purvins, chairman of Society of General Peteris Radzins. 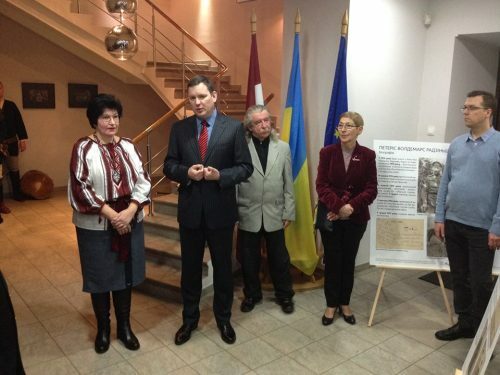 Disclosure of the general’s role in the history of Latvia and Ukraine was not the sole purpose of the exhibition: geopolitical views of the society’s leader echoed the position of “National Alliance ‘All for Latvia!’” representatives, its international secretary Dace Kalnina in particular who was actively communicating with Ukrainian colleagues during her stay in Ukraine. A Ukrainian translation of a video appeal by secretary general of “National Alliance” Raivis Zeltits “Intermarium and the Future of Europe,” in which he mentioned the general’s ideas, may be found at azov.press: http://azov.press/ukr/intermarium-i-maybutn -vropi-1. “He [Peteris Radzins] wrote as follows: ‘Union of Baltic States could be a very strong factor; that is why Soviet Russia also pays much attention to the idea of such a union. It spends all its resources and all its strength to dismantle such a union, so that the Soviet Russia in future would not have to fight in a continuous front from Nordic Ocean to the river of Dniester.’’ […] What will the Baltic States do? Eurofederalists are reluctant to the idea of Ukraine joining the EU – the state that led a revolution and shed blood in the name of Europe. 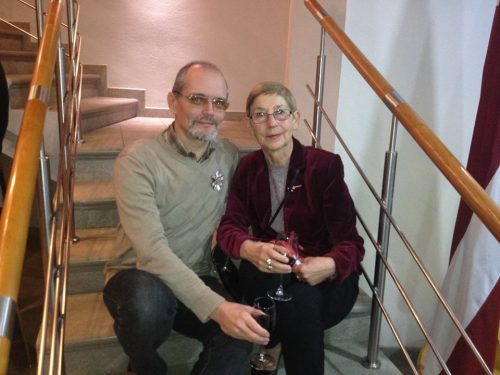 We have to help Ukraine, because it is moral and it is in the interests of all of us. We also have to help Visegrad, because it defends such a European Union in which a national identity is respected. We don’t have to blindly follow the lead of federalists in Brussels, because we ourselves are Europeans, no less than those in Brussels. And we can create the Europe to come. 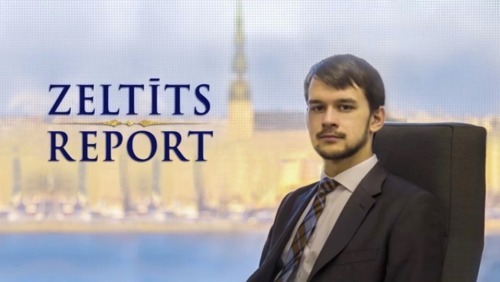 We don’t want neither a tower of Babel, nor towers of Kremlin – we just want to be and to remain Latvians!” summarizes Zeltits. 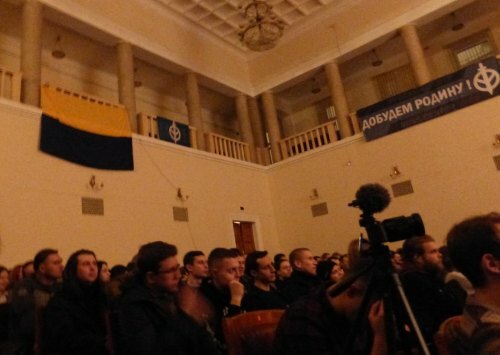 Not surprisingly, the vision of the Baltic-Black Sea Union by Agris Purvins, along with the geopolitical program of National Corps, was also presented at the international metapolitical conference “Pact of Steel [between East and West],” which was held in Kyiv on December 17 with the participation of pro-Ukrainian nationalists from Poland, Croatia, Serbia, Bulgaria, Czech Republic, Russia, France, Germany, Italy, Spain and other countries of Central, Eastern and Western Europe. 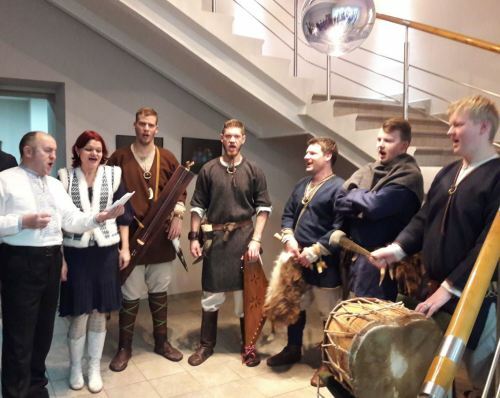 A true soul of the exhibition has become a folk ensemble from Latvia VILKAČI, who, among others, performed Latvian riflemen songs, having continued the concert in one of Kyiv’s bars during the informal communication. Deep observations by General Radzins on the role of Ukraine in Russia’s claims to the status of a European country, the heroic struggle of Ukrainian nationalists against the Bolsheviks in the absence of military and material support from the “deeply concerned” West (back then Entente), mistakes of both Petliura’s government (chauvinism towards everything Russian against the background of Hetman’s ability to put the talents of Russians in the service of Ukraine, wastefulness of the staff delegations, a lack of professional workers) and that of Skoropadsky (material dependence on the pro-Russian Union of Industry, Trade, Finance and Agriculture “Protofis” that at some point refused to fund the army, the affinity with Denikin and underestimation of the revolutionary demands) were recorded on the exhibition stands and, hopefully, soon will be available in a printed format to everyone capable of approaching the history as a set of chances that are waiting for their time. ← Battles in Avdiyivka: Rubicon of the Russia-Ukraine war? Baltic Way – From Baltics to Black Sea? 24/07/2016 Raivis Zeltits Comments Off on Baltic Way – From Baltics to Black Sea?